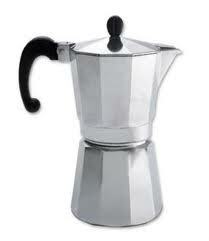 Synopsis: We get many calls about leaking stove top moka espresso makers. This is usually caused by using a too fine of a grind. For example, using Illy fine grind espresso. Try experimenting with the grind settings. Use a coarser grind setting. While we don't recommend this, you can try to put some (a drop) food grade lubricant on the stovetop gasket such as vegetable oil. This will in fact reduce the friction between the gasket and the stove top allowing you tighten the parts harder together. The end result will be squeezing the gasket too hard reducing its life cycle.